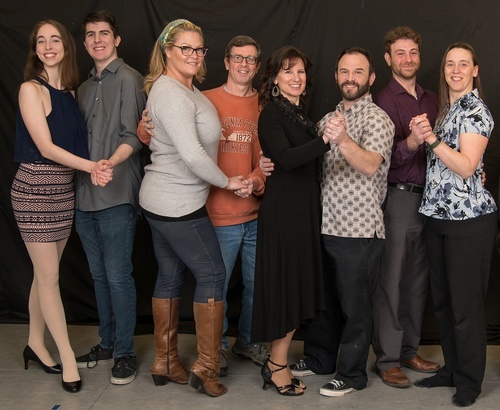 Dancing with the Lake Sunapee Stars is a fun filled family event held annual to benefit the Center for the Arts Scholarship Fund. 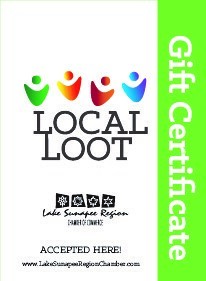 The event will take place on May 11 at Kearsarge Regional High School Auditorium, beginning at 5:30, with a reception and silent auction featuring many services and items donated by local and regional businesses, followed by the program at 7:00pm. Act One is a competition where local “Stars” are paired with professional dancers from the area, to perform their chosen dance for the audience. Guest judges evaluate each dance live and the audience votes to decide which couple will take home the coveted “People Choice Award”. This year’s “Stars” are Kearsarge Regional High School physics teacher Brian Kellogg, Bar Harbor Bank Manager, Rob Kier, financial analyst, Amber Gest Palumbo, and KRHS graduate Brain Callaghan. The second act is an extravaganza of dance talent performed by several companies. This year Speaking in Taps, a pre-professional dance company under the Direction of Aaron Tolson, will be highlighted, as well as the Bedford Dance Center Repertory Ensemble with Choreography by Melissa Teixeira, and of course KCPA Art In Motion under the direction of Angela Tarleton with Choreography by Cheti Davis and Melissa Teixeira. There will also be a special performance by the professional husband and wife team Gary Stanhope and Laura Kiefer.